Miss Rockland must be a positive role model, academically sound, involved in the school and community, and respected by teachers and peers. She must also have school spirit and Rockland pride. This is the criteria upon which Rockland High teachers are asked to base their nominations for the competition. 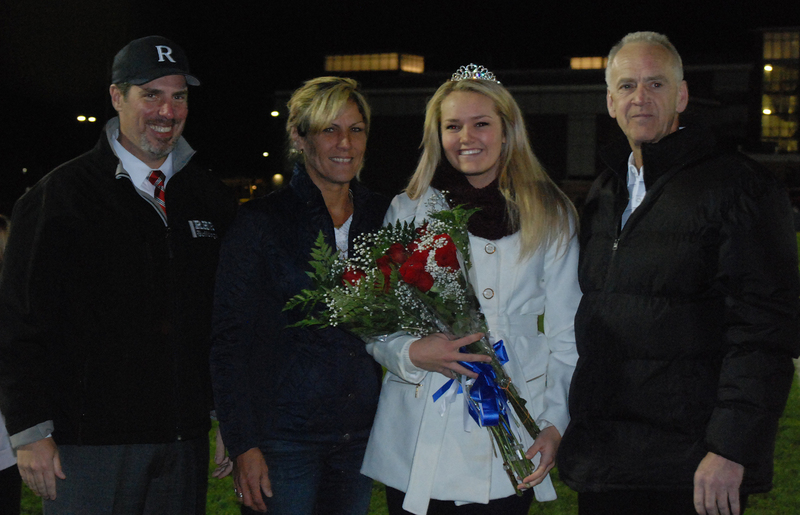 On October 24, during the Homecoming football game vs. Carver, Brianna Starkey was crowned this year’s Miss Rockland. Along with Starkey the nominees included Nicole Cook, Katie DeLorey, Kara Penney, Alex Pigeon, and Danielle Whitcher. Cook is an active member of both the school band and Student Government Council. She is Band Council President and serves on the RHS SGC Executive Board as historian. Nicole’s future plans involve attending a four-year college in Washington D.C., majoring in History and Political Sciences. “My reaction when I had learned that I was a Miss Rockland nominee was shocked, excited and honored that I was given such an opportunity,” says Cook. DeLorey, also an active member of Student Government serves as the Council’s president. Along with this role DeLorey is secretary of the Rockland Chapter of the National Honor Society, a member of the varsity volleyball team, and is also the Veritas’ editor-in-chief, a position she shares with fellow Miss Rockland nominee Alex Pigeon. DeLorey plans to attend a four-year college majoring in Psychology. “I was shocked and so happy [to have been nominated] because the girls who had been nominated in the past I always looked up to as role models and it was crazy to think that was me,” she says. Along with her role in the Veritas, Pigeon is also Vice-President of both the senior class and the National Honor Society. She is Captain of the girl’s varsity soccer team. Pigeon’s future plans include attending a four-year college majoring in English, writing, communications, or journalism. Penney, one of Pigeon’s teammates, is also part of the soccer team along with basketball and track. She too is a member of the National Honor Society and Student Government Council. Penney is captain of the Bulldog Mentor Program, where she helps to welcome freshmen to RHS. Penney plans to attend a four-year college to major in History and minor in Education and pursue a career as a middle school teacher. Whitcher is also a member of the soccer team, Student Government Council, and Bulldog Mentor Program. She is president of the National Honor Society. Following high school, Whitcher plans to attend a four-year college to study nursing. She would like to become a pediatric oncology nurse. Starkey participates in volleyball, softball, and cheerleading. She has been the captain of the softball and volleyball teams since her junior year of high school. Her plans following high school include attending a four-year college for Physical Therapy. Although there could only be one winner, each of the six Miss Rockland nominees showcase what it truly means to be a great role model within their school and town. 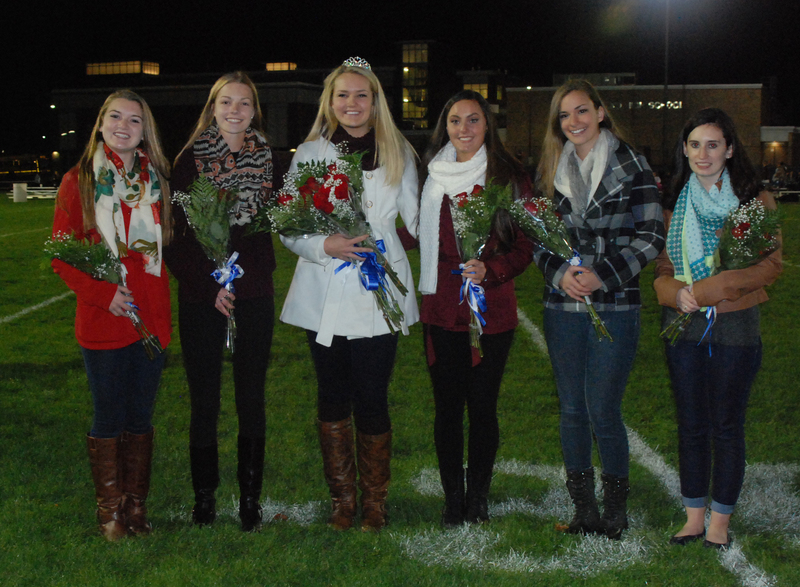 This year the Miss Rockland competition showcased six of RHS’s standout young women. The girls nominated demonstrate the best of the best in RHS academics, sports, music, and school spirit.